We’re just weeks away from fresh field tomatoes. But, I can’t wait. I have a craving for my favourite classic steakhouse salad – a dish served all year round at the restaurant but best eaten only when meaty, field-fresh beefsteak tomatoes are in season. 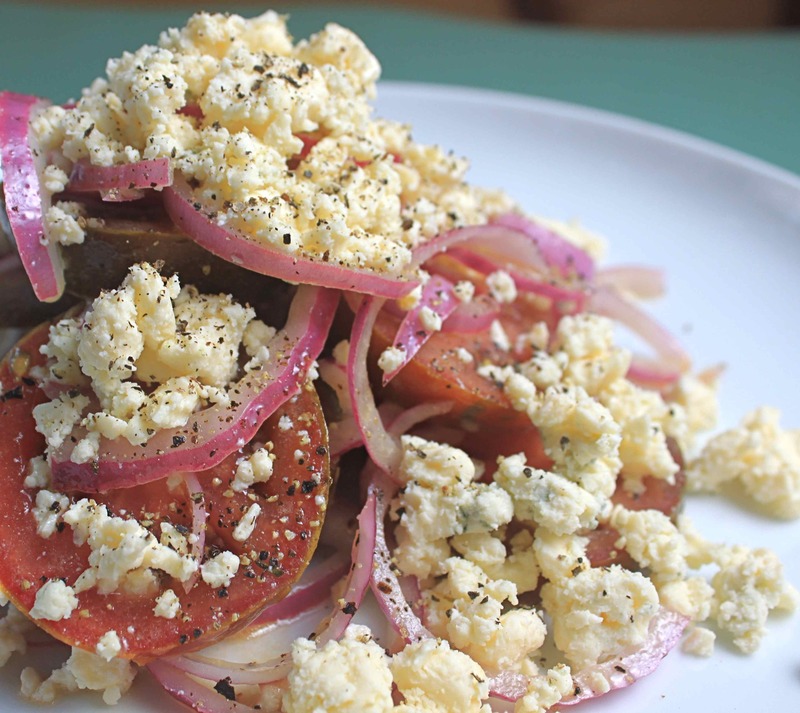 Then, it’s a meal all by itself – sweet tomatoes with red onion, a simple vinaigrette and lots – lots – of crumbled blue cheese. I’ve tried to extend the season beyond the optimal six to eight weeks of prime tomato season (during which even L joins the kids in saying “not again”) by making my version with hothouse tomatoes but it just isn’t the same. Then along came the Kumato. 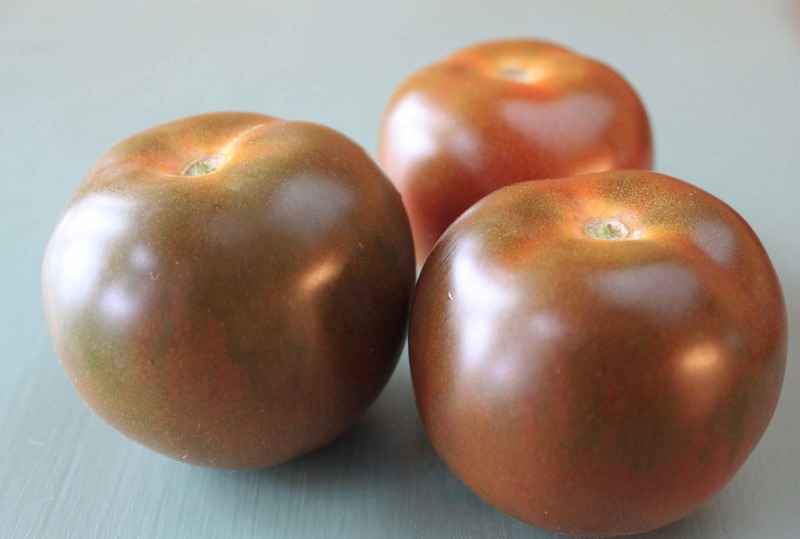 Bred in Europe, this small, thick-skinned and meaty tomato variety is hothouse grown, sure, but it has the sweetness of a field-grown tomato. The only thing that might keep it from really taking off is its colour, brown (bit of a marketing challenge there). But they say it’s very popular in Europe and is now becoming widely available around here thanks to a regional grower, which, as far as I can tell is the only one outside Europe. If you are unfamiliar, you can read more about this “tomato with a tan” (as at least one headline writer called it) here. Or, you can just pick some up and get a little taste of August before the end of June. Layer the tomatoes and onions in a bowl. Whisk together the vinaigrette ingredients and pour over tomatoes and onions. Refrigerate until just before serving. Top with crumbled blue cheese (make sure it’s cold or, it won’t crumble well) and fresh black pepper. Enjoy.